This weekend we met a lovely couple, and together, we enjoyed a windy and sunny morning wandering in the historic center of Florence, Italy. These lovely guys spent a few years studying in Florence and they decided to come back for a vacation in Tuscany. Together we have a couple shoot in the city, in a magical morning atmosphere. Portraits are our way to express who we are and to interpret the couple. We like walking and get lost in the city, looking for great spot of light and little corners here and there. We really like to talk with couples, discover their lives and their stories. Its all about stories and our work is storytelling. 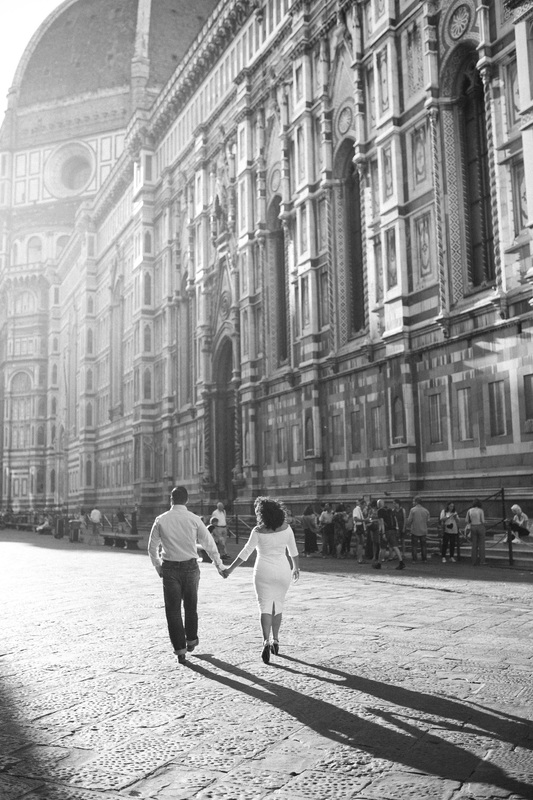 Florence is so perfect for a romantic portrait session, it’s an open museum and every street tells you about history and elegance. We are very passionate walkers and we like to discover new places to suggest or picturing you candid walking there and enjoy the moment.